Our good friends at StitchIt Custom Embroidery are offering ‘Club Clothes’ for members. 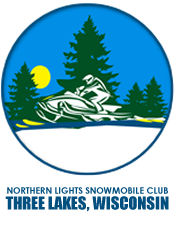 They have a variety of long sleeve and short sleeve shirts, sweatshirts, hats, and jackets that can be embroidered with the Northern Lights emblem. Put your order in so you have it in time for winter. Please be prepared to pay for your order when the order is placed. StitchIt Custom Embroidery can also embroider one of your favorite shirts or jackets with the club logo or any of your other embroidery needs. Just give Chris with StitchIt Custom Embroidery a call at 715-891-0479.